Aloha. It’s Mr. Wada back on duty. 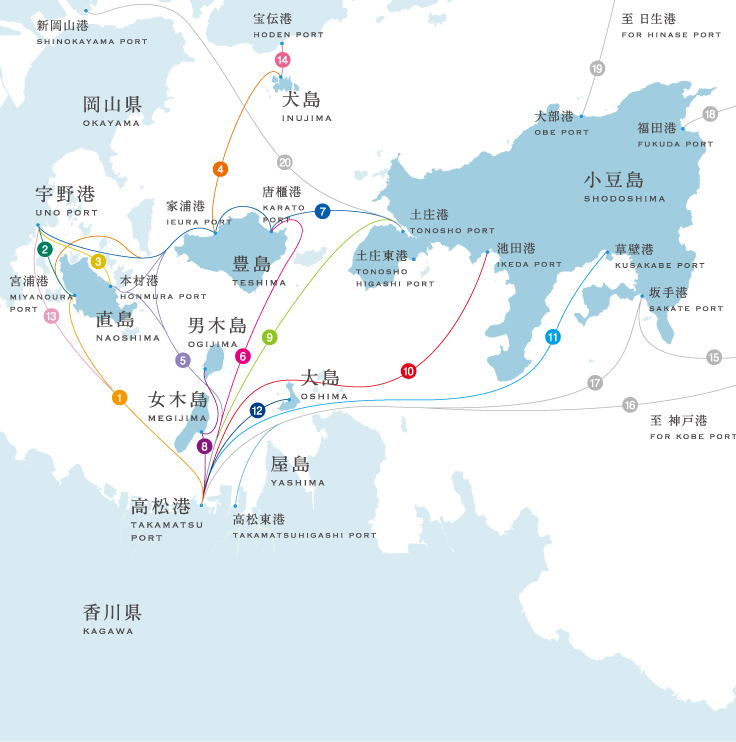 I would like to introduce you Setouchi Art Festival (Setouchi Triennale) this time. The 1st Setouchi Art Festival (Setouchi Triennale) was held in 2010. It was a project to help boost tourism in the Seto Inland Sea (between the mainland and Shikoku) and it seems to have succeeded pretty well ever since. Although it’s triennial (held every 3 years), regular displays and exhibitions are basically available anytime. So even if you can’t make it in the right time, no problem at all. You could see some pieces of art even around the Uno Port (Okayama side). This sea bream is made out of trash (take a look closer). Interesting. Uno Station also has unusual design. You should check it out with your own eyes. Hehe. Naoshima is the most popular destination. Ferries to those islands are available either from Shikoku (Takamatsu port, etc.) or Okayama (Uno port, etc). Naoshima’s symbolic ladybug monument is especially a popular photo spot. Some art exhibition in dark. How do you find it? Please take a visit and share your thoughts with us in the comment!